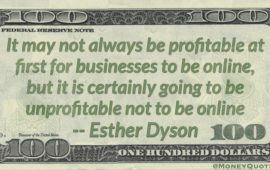 In a time when profit margins are ever-shrinking and the economy has made things difficult for many small businesses, companies are looking to cut costs while also maximizing profitability at the same time. It’s a tricky balancing act! One concern many companies face is how much money to devote to advertising and where to split the budget for maximum ROI. In times like these, some are tempted to trim costs in their advertising budget but that is not at all wise. Wherever possible, invest in advertising materials you can use repeatedly. Then, you won’t have to buy the same things every year. High quality advertising banners, for example, can be used repeatedly in trade shows, in your location, at golf tournaments, and so on. High quality banners that serve multiple purposes can last for many years. Doing vehicle graphics advertising is another great small business advertising method as you’ll pay once to have the advertising created and be able to use it continuously. Online advertising is fast becoming a preferred advertising method for even the smallest local businesses. Consider looking at search engine optimization, online advertising and at developing your website. Cost investments could pay big dividends in terms of bringing you new customers and in helping you nurture those customer relationships so that newly acquired customers become ongoing clients. There are many online advertising methods and some are low cost or even free. Getting listed on Google Place for your local area, for instance, can help you get found by people looking on their computer or on their mobile phone for your business type. Radio advertising can pack a punch and be a lot less expensive than many other marketing campaigns. 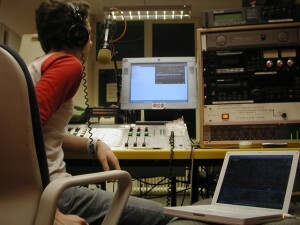 Many people listen to their local radio station on a continuous basis. Have you considered approaching smaller local radio stations to check out how much they charge for advertising? Not all marketing and advertising methods will be easy to measure but where possible, look at which methods are bringing you the best ROI. If your sales numbers jump up after a radio ad or printed flyer campaign, by all means, do it again. If you spend money on something and it doesn’t seem to do much for your business, consider looking at whether or not that part of your advertising budget could be better spent elsewhere next time. Freelance writer Sharon Hurley Hall writes for Sherwood Signs, the home of printed banners and signs, who offer a number of reusable advertising materials such as advertising banners,vehicle graphics, and more.